I read this quote by Mark Twain the other day that really hit home to me. He said,” Twenty years from now you will be more disappointed by the things you didn’t do than by the ones you did”. With the exception of about four years in college, I would tend to agree with that comment. I fear that the things I DID do during that time might be more regrettable than the things I did not do. I also applied this same thought process to my high school years. I have no memories of those great grades in English or calculus, but I can recall certain football dates with great clarity. By now you may be wondering where am I headed with this thought process.I believe that people with many and varied interests not only live the longest, but they also live the happiest lives. 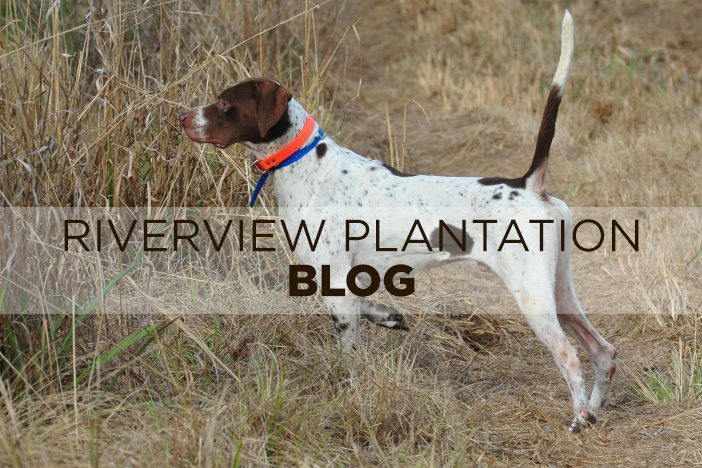 If you enjoy the beautiful piney woods and quail hunting of South Georgia, don’t put off a trip to Riverview just to spend another two days in the office. I have found that I could come to work each morning with a completely empty slate, and manage to stay busy all day long. The work and tasks will always be there, but opportunities to really experience and enjoy life go by us daily. So, if you have not scheduled a break to let your soul breathe for a couple of days, give us a call to refresh and rejuvenate your lives. I can guarantee you that the office will still be there when you return. I have learned that the hard way this year as I am only spending a couple of days a week in the office. Martha and I started a “bucket list” eight years ago of places we wanted to go, and things that we wanted to do. Our thought at the time was that we should do it while we were both in good health, and could enjoy it. It was one of the best decisions we ever made because we checked the last one off this past summer before Martha was diagnosed with cancer. By the way, she is doing great, and we are both very grateful for the thoughts and prayers from so may of y’all. At least for a good period of time now, there will be no long trips in the future as chemo sessions are a regular part of our lives now, but we still know that God is great, and He holds our future. Now , just a few random thoughts to close with. Will January 20th end this season of political insanity, or have we become the Divided States of America? Had Hillary won, I would have been very disappointed, but she would be my president, and I can not envision myself hoping for her to fail because, if she did, so would our nation. Do politicians really care about anything other than being re-elected? I like the old country music song line that goes,” You’ve got to stand for something, or you will fall for anything”. I’m beginning to wonder just what does Washington stand for other than my side beating your side. And just this one final thought for today: If 60 has become the new 50 and 70 is the new 60, then why can’t Thursday be the new Friday? It makes perfect sense to me!